Summary: Poverty and homelessness are explained for young children, using a question and answer format for such queries as “What is it like to live on the streets?” and “Are there children who are homeless?” Each question is answered on a two-page spread, with stock photos of different people, illustrated with drawings of the same three kids who seem to be the ones having the discussions. International poverty is addressed, with information about refugees and fundamental human rights. Readers are given suggestions of how to help those who need it, and there is a list of Internet websites at the end, along with notes from both the authors. 32 pages; grades K-3. Pros: Simple, straightforward information is given about topics that are not often addressed in children’s literature. The authors, a child psychologist and the educational evangelist at Google (who grew up in poverty) make an interesting combination of writers. Cons: The stock photos somewhat depersonalize the issues; it would have been more effective to follow the same people or family throughout the book. Thank you for bringing this book to our attention! 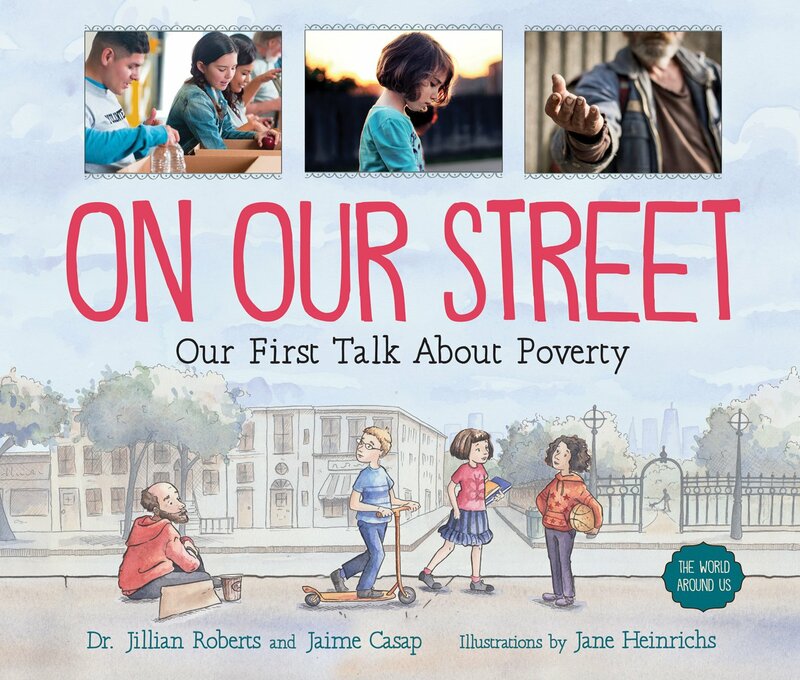 I’m working on library lessons about children in poverty, and this book looks like it would be a nice fit. Did you get a chance to check out the websites that were mentioned in the book? I would like to hear your thoughts on those. The books I am working with recommend sites that are more for high school age and older. “Each Kindness” by Jacqueline Woodson might work well with this book. Thanks for the feedback. I didn’t get a chance to look at the websites, so I can’t help you there. Another picture book I really liked that’s about poverty is Yard Sale by Eve Bunting. I reviewed it 5/31/15.